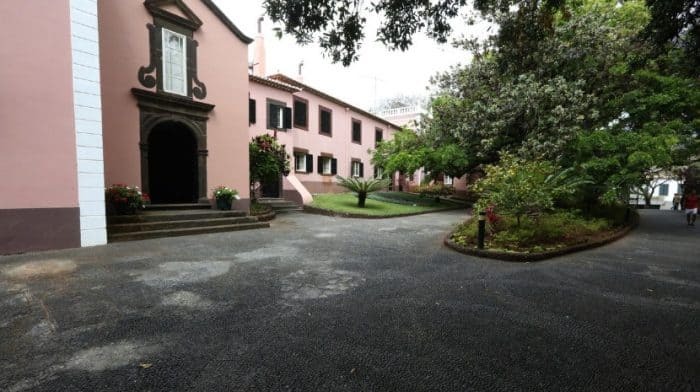 The Government Council, meeting this morning in plenary, decided to authorize the acquisition, by private law, for the total amount of € 331,974.04 three parcels of land, from the plot of the “Construction of the New Hospital of Funchal” . Along with the deliberation of payment of frozen years for teachers in the Region, the government led by Miguel Albuquerque authorized the conclusion of a cooperation agreement, as an eventual support, between the Institute of Social Security of Madeira, IP-RAM and Santa Casa da Misericórdia de Machico, assigning for this purpose financial support of a single installment, in the amount of 131,767.50 €. Of the eight deliberations made public to the media, the executive also authorized the conclusion of 18 Sport Development Program Contracts of the Regional Plan for Sports Support 2017/2018, in the total amount of 206,027.12 Euros. Of this amount, 114,703.30 is related to support to the activity of sport and multi-sports associations. € 13,392.00 refers to travel by sport and multi-sports associations, and € 77,931.82 relates to trips by regional sports clubs. “To grant to the Madeira Farmers’ Association a financial contribution that will not exceed the amount of 9,100 euros, in view of the definition of the process of financial cooperation between the granting parties for the continuation of the first phase of a sustainable technical-scientific program of phytosanitary improvement of the vegetable base of the most important horticultural crops of the Autonomous Region of Madeira, as is the case of sweet potatoes; To extend for a further year, from October 22, 2018, the term of validity of the preventive measures, which was subject to the area covered by the partial suspension of the São Vicente Municipal Master Plan, determined by Resolution n. October. And to proceed with the publication of this Resolution in the Official Gazette of the Autonomous Region of Madeira and its respective notice of publication in the Diário da República; pursuant to article 68, paragraph 5, of DLR No. 7/2012 / M, April 20, the lease for the agricultural exploitation of two parcels of land located on the Nora, parish and Municipality of Porto Santo, at the value per annum of € 1,750.00 (one thousand, seven hundred and fifty euros) and to authorize the sale, by direct adjustment, under the terms of the legal precept, the urban building, with the global area in the ground of 70 square meters located at Rua do Lazareto, parish of Santa Maria Maior, Municipality of Funchal, for the value of 5,600.00 euros are other government decisions.